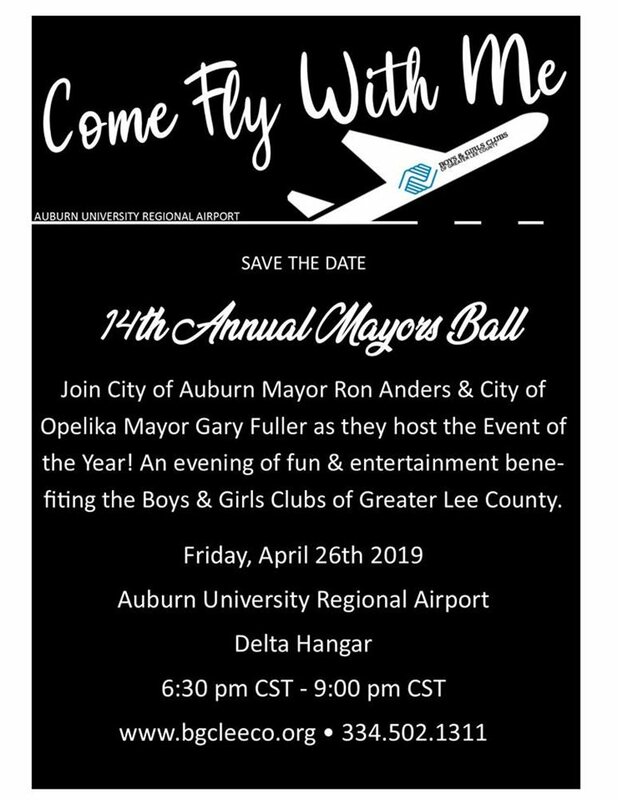 Be a Champion for the Youth of Lee County and Come Fly With Us for the 14th Annual Mayors Ball! Hosted by Auburn Mayor Ron Anders and Opelika Mayor Gary Fuller. The Mayor’s Ball has recently become the largest source of fundraising for Boys & Girls Clubs of Greater Lee County thanks to the generosity of many of the area’s most influential persons. This is an annual event and will be taking place for the 14th straight year this spring! We are beyond thrilled for this event to take place at the New Delta Hangar at Auburn University's Regional Airport. So come fly with us Friday, April 26th for a themed evening of fun and entertainment, including a Live Auction! Enjoy a photo op with a private jet, tour the new Delta Education building, and much more.